→Make money Online for using social sharing buttons in your Website? Make money Online for using social sharing buttons in your Website? Every blogger or webmaster wants to make money from his blog or website. However making money online is not easy for everyone. Out of every 100 bloggers, only 20 are able to make decent income online. This is because most of the bloggers are unaware about different money making techniques. For earning money online, you must provide quality content to your users. In addition to this, you must have patience as well because there is no way to make money online right from the first day. I have already provided different money making Techniques like- Earning Money Through Adsense, Earn Money through Viglinks, Earn Money by conducting Giveaway, Earn Money through OneInstaller . If you are a newbie in the field of blogging and want to know all methods of making money online, You must see 200+ Ways to Make Money Online.Today, I am going to share another awesome method which allows you to Make money Online for using social sharing buttons in your Website or blog. Isn’t that interesting? I know that, almost every blogger is using social sharing buttons on their blog but they are not making money from them. It can be strange for new bloggers but a website called Po.st allows you to earn money online for using sharing button on your website or blog. Po.st is social sharing platform which allows you to make money online for using social sharing buttons on your website or blog. They are using very simple and innovative method which is very easy for users to understand and apply. 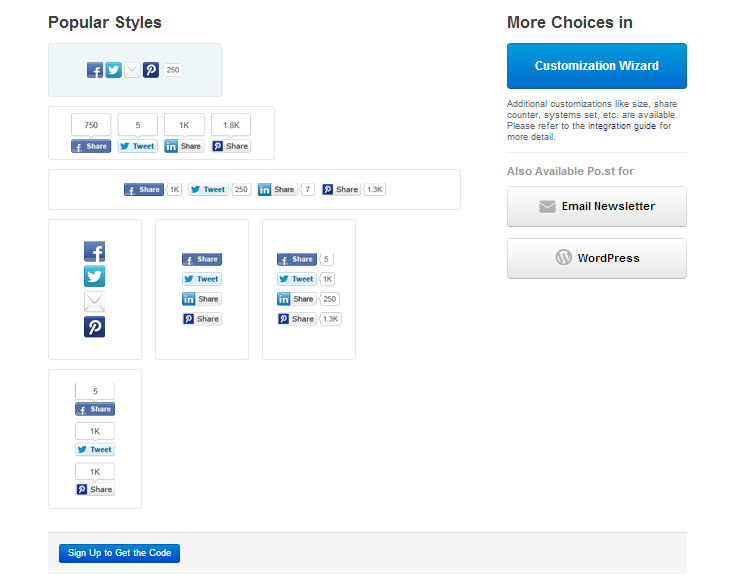 Using Po.st , you can add stylish Social sharing buttons on your Website or blog. Po.st buttons allows you to use almost all popular social networking sites like Facebook, Twitter, Pinterest, Reddit, Tumblr and much more. How to Make Money with Po.st? 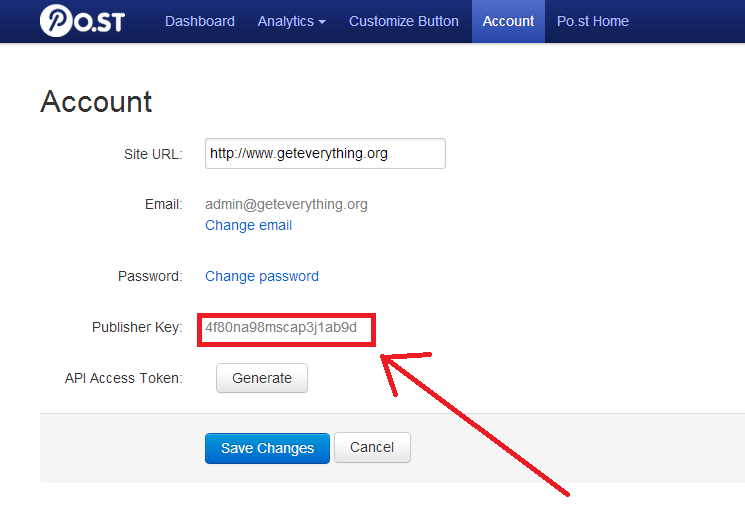 As i mentioned earlier, Po.st allows you to earn money online for using social sharing buttons on your website or blog. However, you will only earn money, if someone shares your content on his/her social networks. It means, More money for more social shares using social sharing buttons of Po.st which are used by you in your website or blog. 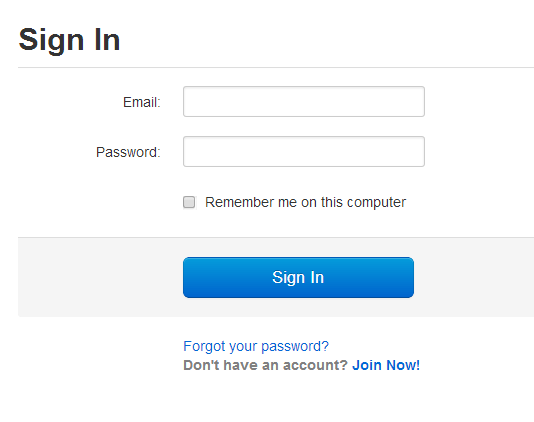 Once done, you will see a new Pop-up screen with registration form. Simply complete it to get the code. Once done, write an Email to publishers@po.st and ask them to setup your revenue sharing account. Please don’t forget to mention the url of website or blog where you are using these buttons.They will create your account for free. When user will share your content using these buttons, you will make money. eCPM rates are really high and they share 100% revenue with publishers which is awesome. 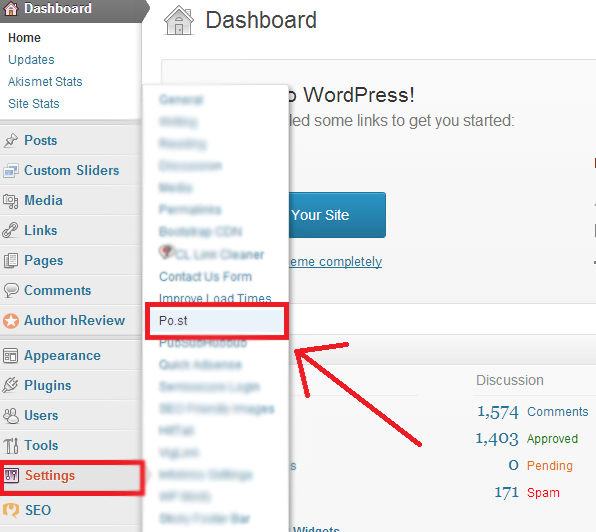 How to install Po.st Social Sharing Buttons in WordPress? Install Po.st WordPress Plugin on your self hosted wordPress Blog. Activate the Po.st Plugin after installation. After inserting the Publisher key, choose the kind of Social Sharing button which suits bests on your website or blog. Once done, click on “Save” button and enjoy. Why Po.st is Paying You for Social Shares? Payment are made on 45 days basis from teh end of each calender month. Use of social sharing buttons are necessary these days for getting better result in SERPs. In my last article, i have mentioned the importance of Social shares for the improvement of Domain Authority which is necessary for SEO. Po.st is paying you for using social sharing buttons which means you are earning extra. 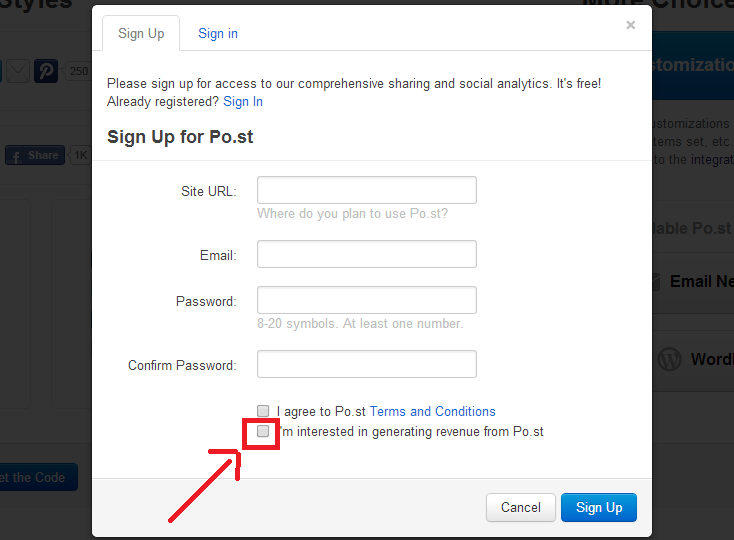 There is no reason why anyone won’t use Po.st social sharing buttons on their website or blogs. What do you say? It would be interesting to know your feedback about it.